When you are a business owner, you are likely to give at least one employee a key to your commercial space. 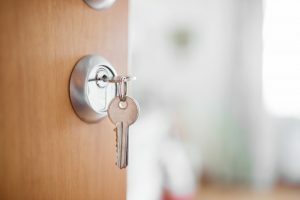 You may want them to have access to your building without having access to your office, but you also may not want to carry around multiple keys for your commercial space. This is where a master key system comes in handy! Mastering key systems give you a single key to unlock multiple locks while your employees have their own key that can only unlock a single lock. This can allow you to get into any space of your business all with one key! At 24/7 Emergency Locksmith in Bethlehem, we offer a master key service for your commercial space. If you are looking to add this system to your business, be sure to call us at 484-891-1922. A master keying system can come in handy for any business, but these are often popular in hotels, banks, medical offices, school, storage facilities, and many others. No matter what type of business you have, master keying may be a great option for your commercial space. If you want to give employees access to certain areas of your business but not all, this is a great way to do that without needing multiple keys. If you are interested in a master key system, be sure to contact 24/7 Emergency Locksmith in Bethlehem. We will be able to answer any questions you have and help give your commercial space a master key system and allow you to enjoy more control over your business’s security.